Exactly one week after the launch of Windows 10, Microsoft has now started rolling out its first post-launch update for the desktop operating system. This update brings non-security changes and improvements to the OS to enhance its functionality and fix some bugs. Windows 10 cumulative update, KB3081424, comes at a download size of 325MB. This is only one of the first of many more updates and bug fixes to come for the operating system as Microsoft now offers Windows as a service. Microsoft has shared only a brief description of what this latest update contains, hinting at no specific details, whatsoever. You can download the update now to have it fix any bugs and improve the overall user experience of the operating system. Don’t forget to restart your desktop or laptop computer after downloading this update. 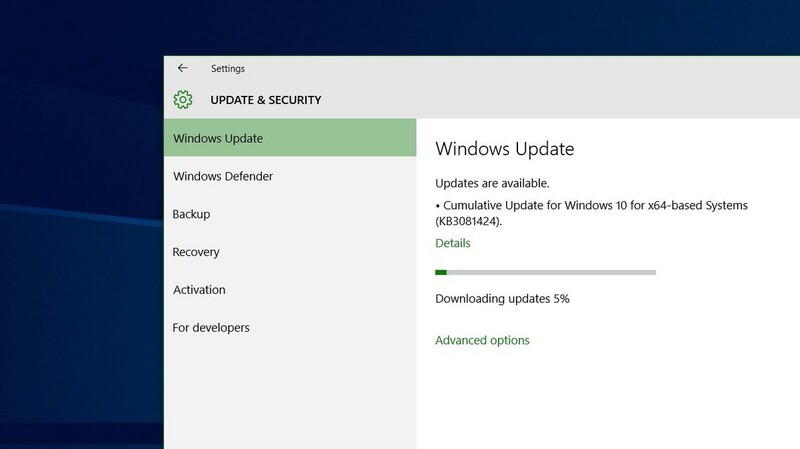 You can expect to see these updates more regularly as Microsoft is moving to a service model and will be more proactively keeping the operating system up-to-date with security and feature updates. Let us know if you spotted anything different after downloading this update.